The Champions League. Home to the greatest players on the planet, the platform for some of the most breathtaking football and…..the stage where some of the greats failed to live up to expectations. Through no fault of their own necessarily, some of the most decorated players on the domestic scene failed to conquer at the highest level of European football, slipping into retirement with a career defining accolade missing from their trophy cabinet. Gianluigi Buffon (GK): In a heartbreakingly unsuccessful pursuit of Champions League glory, the Italian goalkeeper failed to progress into the last eight this season with PSG – in what may have been his final attempt. In a 24 year career, the veteran stopper has won almost every trophy for club and country, but somehow the top prize in European football has escaped his grasp. Lilian Thuram (RB): The often-forgotten French defender perhaps does not have the legacy he deserves, but during his career, he built forged a reputation as one of the most talented , and versatile, defenders in the world. Despite winning domestic titles with Juventus and Barcelona, as well as the World Cup and Euros with France, he failed to ever get his hands on the Champions League trophy. Fabio Cannavaro (CB): Think of Fabio Cannavaro and you think of success. Probably because of that image of his beaming face holding the World Cup trophy aloft with Italy in 2006. Surprisingly, though, the centre-back didn’t actually have much of it – only winning two league titles in his career, both during his time at Real Madrid. For all of his defensive talents, he suffered the same fate as Thuram – ending his career without European glory. Laurent Blanc (CB): The Frenchman was sacked as manager by PSG in 2016 for his failure to bring the club any European success. Similarly during his playing days, the nerveless centre-back never won the Champions League, despite enjoying a raft of success at domestic and international level. Gianluca Zambrotta (LB): Not the biggest name in this team, but it is no coincidence that the marauding Italian full-back played alongside Fabio Cannavaro in Italy’s 2006 World Cup success. Equally adept at going forward as he was at defending, stints at both Milan clubs, Juventus and Barcelona could not bring Zambrotta Champions League success. Pavel Nedved (CM): Another player who is often grossly under appreciated is this lusciously-locked playmaker. The former Ballon d’Or winner was signed for Juventus as a replacement for the one and only Zinedine Zidane. However, a defeat on penalties in the 2003 Champions League final was the closest the Czech ever got to European glory. Patrick Vieira (CM): Continuing the theme of hard luck, the French midfielder left Arsenal the year before they reached the final in 2006 and left Inter six months before they won it under Mourinho in 2010. Won multiple trophies as captain at domestic level, but that was as good as it got for Vieira. 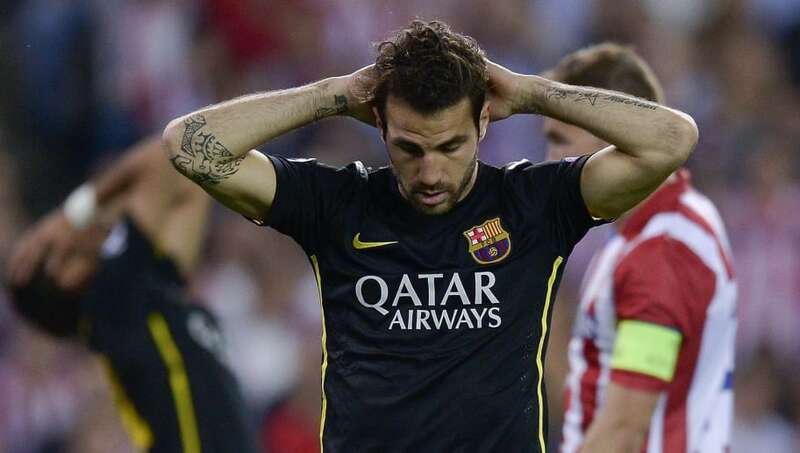 Cesc Fabregas (CM): In a cruel twist of fate, Fabregas left Arsenal to join his boyhood Barcelona in 2011 – just after they had won the Champions League. After three years at the Catalan club, he returned to England with Chelsea and what happened the following year? You guessed it. Barcelona lifted the trophy once more. Ronaldo (FW): Not blessed with the same luck as his namesake and five-time winner, Cristiano, the Brazilian Ronaldo surprisingly never even played in a Champions League final. Although he will be remembered for some memorable moments in the competition, he never came close to a winner’s medal. Zlatan Ibrahimovic (FW): With no realistic chance of international success, the supremely confident Swede would have had his eyes set firmly on Champions League glory. Unfortunately, it was not to be for the frontman, who now ironically holds the record for the most Champions League appearances without ever lifting the trophy (124). Dennis Bergkamp (FW): The Dutchman, who frequently skipped European games on account of his fear of flying, won the UEFA Cup with Ajax and Inter early in his career. This trend, however, did not continue. He did, though, have the chance for Champions League glory in his final game as a professional with Arsenal in 2006. 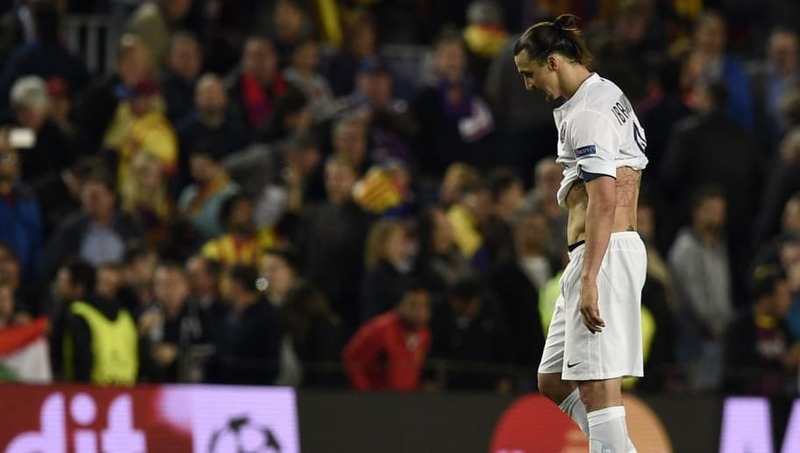 Sadly for him; in a game where he was an unused substitute, it ended in a 2-1 defeat to Barcelona.